Starting today, February 15th, Shop Disney is having their Friends & Family Sale! During this sale you can take an extra 25% off Sitewide! Just use coupon code DISNEYPAL at checkout. Check out their sale section too, there are some items that you can stack this extra savings on. 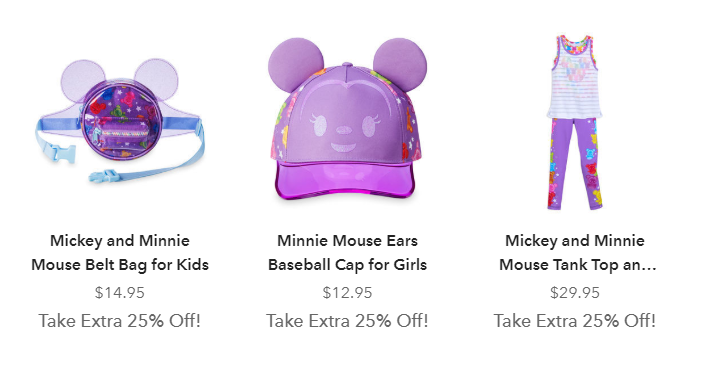 Great time to grab those Disney souvenirs! Shipping is FREE with your $75 or more purchase with coupon code SHIPMAGIC at checkout.